Searcy High School senior Wyatt Mote received a life-changing experience this summer when he represented Searcy High School and the state of Arkansas at the Congress of Future Science and Technology Leaders in Boston, Massachusetts. Surrounded by high school students across the nation, Wyatt received the opportunity to learn from some of the greatest living minds in medicine, scientific award- winners, and even young geniuses who are leading the future of medicine. Wyatt was teacher –nominated because he aspires to become a scientist one day, possesses leadership skills, and achieves academically. “It was very interesting,” says Mote. “I was able to hear a lot of fascinating people speak.” Two of Wyatt’s favorites who stand out in his mind are Richard Browning, the real-life Iron Man, and Scott Flansburg who is known as the human calculator. 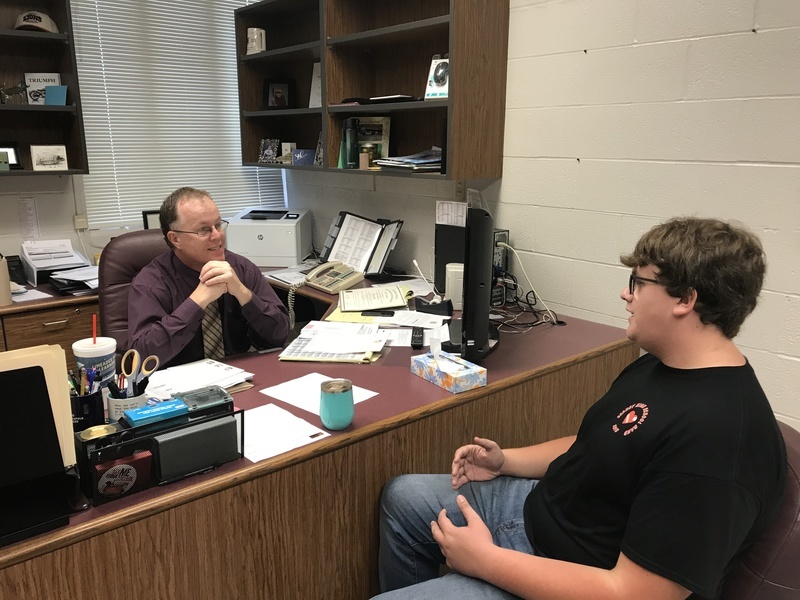 Graduating this year, Wyatt has spent his school career at Searcy Public Schools participating in science and technology-related courses and constantly improving his knowledge in the STEM (science, technology, engineering, math) field. He and friends created their own website in middle school and continue to add new information and connect with one another discussing all types of current events. SHS principal Gene Hodges has known Wyatt most of his life and comments, “Wyatt is such a great student. As his principal at Ahlf Junior High School and now Searcy High School, I have enjoyed watching him grow into the young man he is.” Wyatt is the son of Greg Mote and Missy Carey. Searcy School District congratulates Wyatt on his official Award of Excellence certifying his completion of the Congress of Future Science and Technology Leaders. He is an exemplary student who is a positive representation of our district through his high achieving academics and his good character.